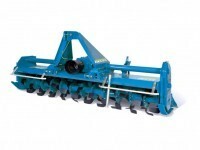 The Standen Delta Rotary Tiller series is a range of rotary tillers with C or L type rotor blades and side skids. Power transmission by side drive gears ensures maximum reliability in the most difficult working conditions.Models in the range include the E120, P140, P170 and TF280. The number in the model name refers to maximum suggested horsepower. 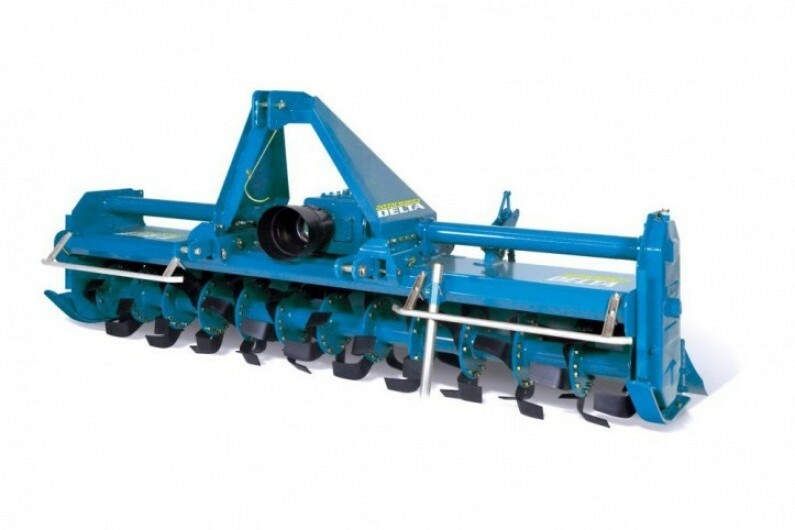 The Standen Delta Rotary Tiller series products all feature a sturdy box frame, nearly unbendable; a generously proportioned three point hitch; a rotor shaft built using a high quality steel; a tailgate built using an S-shaped thick plate for ideal levelling and soil refinement. The Delta Rotary Tiller Series' special metal seals used by Standen to protect the rotor shaft bearings enable the user to work in extreme conditions. The front swinging linkages (not available on 155 and 180 models) are designed to operate on uneven soils and enable the tiller to go above obstructions. Please see the specifications for model specific information. If you have any questions please don't hesitate to contact us.